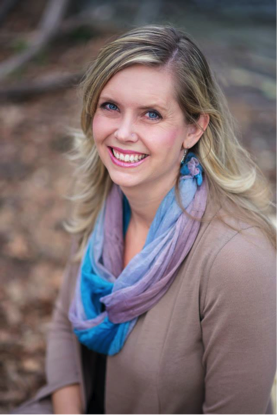 I am really excited to announce that Dina Sleiman is guest posting today on my blog!! As you know, I just did a review on her awesome new book, Dauntless. We also had a fun Face-Off. Look!! There she is with her books!!!!! Hurry and head on over to Amazon to pick it up!!! It’s such a fun, great read. Katniss Everdeen and Tris Prior, prepare to meet your historical counterparts! Hello and thanks for having me today. I would like to share with you about my YA inspirational medieval adventure/romance series. Yeah, that’s a lot of adjectives. LOL. This series is pretty unique, especially in the Christian market, and so requires quite a bit of description. But let me start by sharing a little of how it came about. 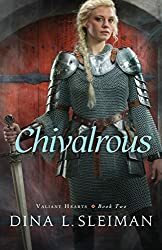 A few summers ago I saw a picture of a female knight, strong and courageous, bold and valiant, and I realized that somewhere in my many years of marriage and raising children, I had lost my fight. And you know what: I wanted it back! Meanwhile, I had been considering trying my hand at a young adult medieval romance series for several years, but I didn’t have a strong idea. Quite a few more months would pass before everything came together for me. I was walking and praying about a series concept, when the BBC’s new Robin Hood came to mind with its bold Maid Marian who is a crusader for the poor in her own right, its female Djaq, and its tough villainesses. That’s when it hit me. Put strong, young medieval women in legendary male roles, et voila, my Valiant Hears Series was born. I’m so thankful for this opportunity to create strong and courageous role models for young women. I feel that all too often Christian girls are sent mixed messages. “You can be whatever you want to be, but you should be…” (insert small box of your denominational choosing here.) I want to inspire young women to be all that they can be and empower them to reach their full potential in Christ. “What is a Valiant Heart heroine?” you might ask. A young woman who is both feminine and strong, vulnerable and tough, gentle and passionate. She is fearless, intelligent, and full of life. A heroine who contains within her both the tender beauty of a blossoming flower and the fierceness of a lioness. One who uniquely reflects her creator God and is willing to pursue her dreams with all her heart. A woman who is open to love, but not defined by a man. Shown above is Merry Ellison, my heroine for the Robin Hood inspired Dauntless. Merry will go to any length to save the outlawed children of Ellsworth from the treacherous King John. Dauntless is available now online, as an ebook, and in local bookstores. Click here to pick up at Amazon. Thanks so much, girl!! You had me at Katniss and Tris!!!!!!!! Ok, guys! Go support Dina and pick up a copy of her book. You won’t regret it. Check out what’s coming in September…. Looks so good (: Can’t wait! Previous Face-Off with Maggie Brendan! !